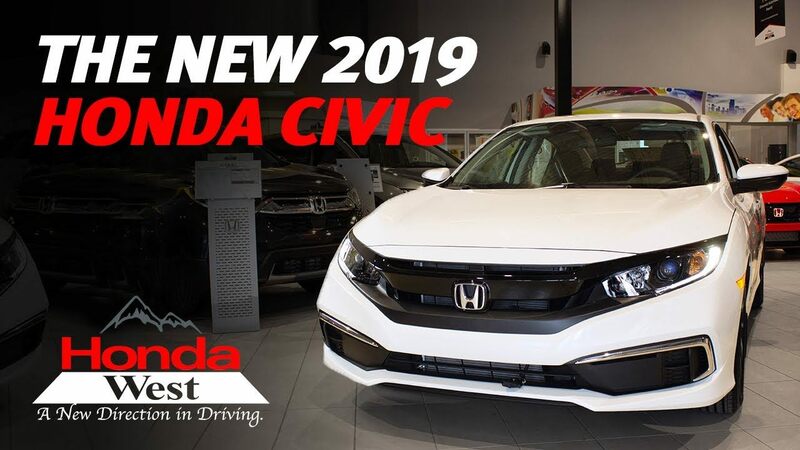 The brand new 2019 Honda Civic is here, come down to Honda West today! It's hard to find an investment that is a sure winner. Cars aren't often that investment but taking a look at the 2019 Honda Civic compared to the 2009 version, I'd say you would have made money. It's official: the 2019 Honda Civic has launched and it looks like it will be another winner. The Honda Civic has been the best selling car in Canada for 20 years in a row. The Civic is a special combination of styling, affordability, fun-to-drive attitude and an appeal to sensibility that is exceptionally Canadian. These features have create unbelievable loyalty in the Civic. I thought it'd be interesting to take some time and look back to the Honda Civic of a decade ago. Although the 2009 version of the Honda Civic didn't get a lot of accolades for its appearance it was extremely popular, fuel efficient and sensible. I think you'd agree that the 2019 version of the Civic is a little sexier. Now let's take a look at the pricing. In 2009 a Honda Civic 4-door Sport 5-speed automatic had a suggested retail price of $22,780. The 2019 model Honda Civic 4-door Sport CVT has a suggested retail price of $25,490. The price increase over the last decade has been relatively paltry $2,710. If the price of the Civic had just matched inflation, the 2019 version should cost $26,324. Where inflation has gone up 15.5% in the last decade, the Civic has only moved 12%. Compare this to the price of an Apple iPhone. Prices have gone from $499 US in 2007 to over a $1,000 in 2017-a 52% increase! Is the iPhone had kept up with inflation it should only cost $716. If you're into hamburgers, the price of a Big Mac 2008 was around $3.50 based on US figures but, is now close to $5 in 2018. Keeping up with inflation the price of a Big Mac should be just over $4. The price increase over time is about 43%. More importantly, the Civic that you're getting in 2019, compared to the vehicle from 2009, is remarkably improved. Some of the updated features include the Collision Mitigation Braking System, Forward Collision Warning, Lane Departure Warning, Road Departure Mitigation, Adaptive Cruise, Lane Keeping Assist, Vehicle Stability Assist, Next Generation Air Bags, compatibility with your Apple or Android smartphone and a host other improvements make it unbelievably impressive and inexpensive at the same time. We agree the iPhone has made improvements over the last decade too but, the iPhone doesn't get you from A to B in style! Remarkably the hamburger hasn't improved it all! Come take a look at the 2019 Honda Civic and drive it. You'll be impressed. Also, check out all the features!